Outdoor enthusiast's take notice! 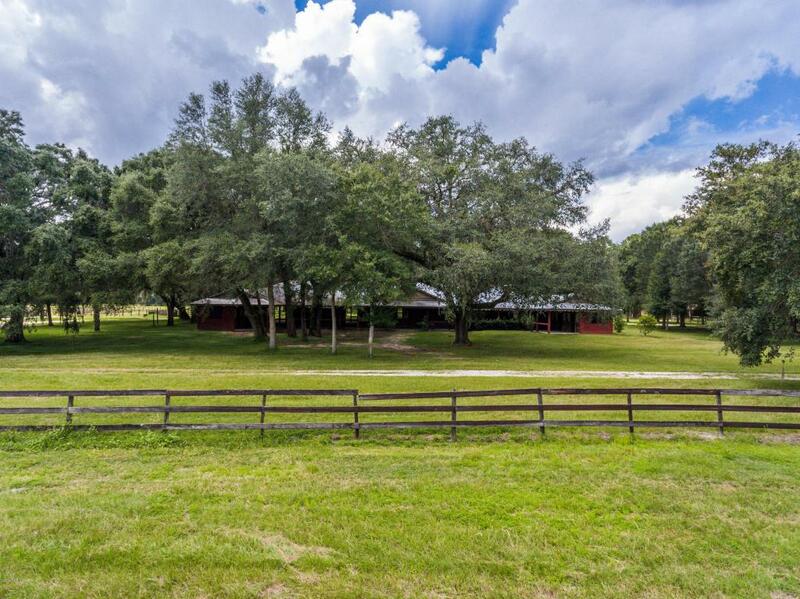 Bring your horses, cattle, or exotics to this fantastic property located just outside of Ocala. 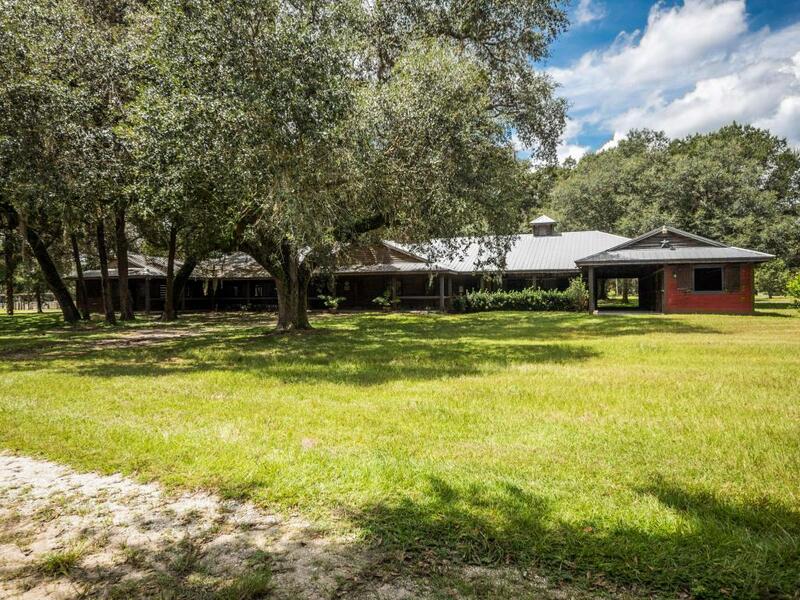 Gated entry leads to 20 stall barn with 3 bedroom 2 1/2 bath apartment, lab, and climate controlled tack room. Drive a little further and you will find an adorable 2 bedroom, 2 bath cottage home with huge master suite, fireplace and oversized laundry area. Enjoy the scenery, your animals, or wildlife, from the covered porch. Plenty of room to ride on the 250 x 300 lighted riding arena or venture out on the miles of trails. Additional 10 stall barn with separate entrance gives you the option for seasonal or year round income. Plenty of storage for vehicles, machinery, hay or accessories in the spacious shop.100 ft round pen for sorting or seperating cattle. 60ft round pen and hot walker. 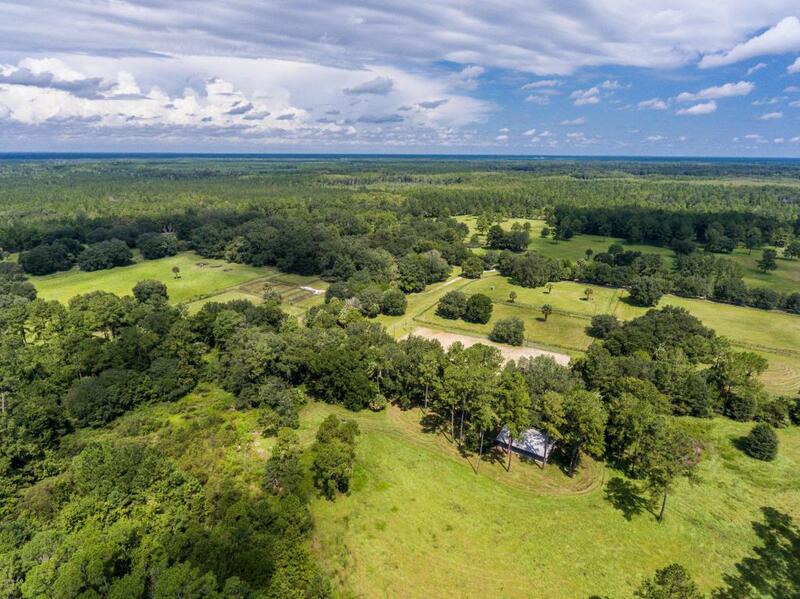 For those needing a larger home, there is a stunning homesite already cleared and naturally landscaped. If you are looking for a country setting, but still close to town, this is the place for you. Minutes to shopping, restaurants, etc. 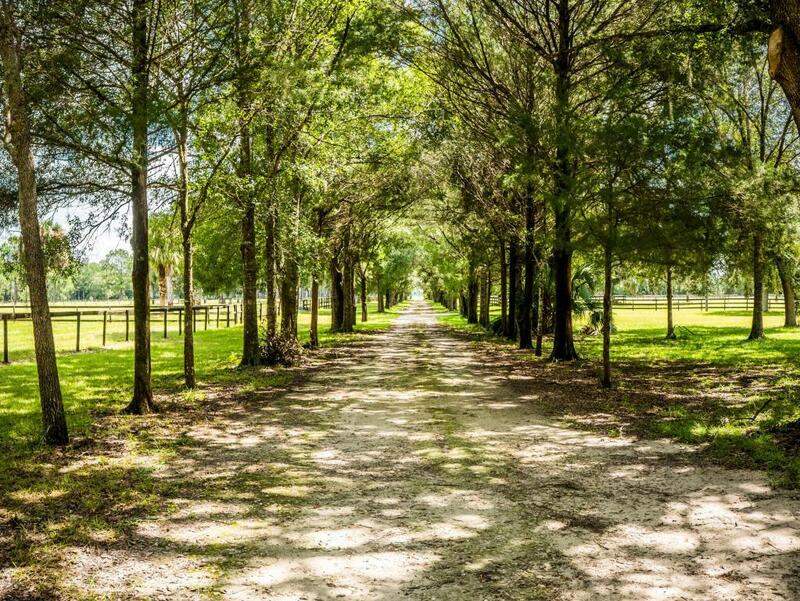 Professionals will appreciate all that this ranch has to offer and the family that is looking for a weekend get-away, will appreciate is just as much for different reasons. Truly a versatile ranch. Call today to schedule a private tour. Listing provided courtesy of Jane Mabe of New Millennium Realty.